In our goal-oriented world, it might seem strange to say that sustainability is a journey, not a destination. My story is a journey that has taken me through different jobs and changing views about what corporate social responsibility means to me. It’s also a journey that parallels the transformation of what corporate social responsibility means to the rest of the world. I hope that by sharing some of my experiences from that journey and some of the lessons I learned along the way, I can help shed some light on how we got here and also, perhaps, on where we’re headed. My story starts in the early 1990’s when, after several years in government, I found myself working for a company called Imperial Chemical Industries. That name, Imperial, was how a lot of businesses in the industry acted. Our plants often sat in the middle of communities behind barbed wire fences. People didn’t know what went on behind our gates, and we were by and large okay with that. Again, this was the 90s. The Exxon Valdez spill had happened, so companies had the idea that it wasn’t smart to dump 11 million gallons of oil in a wildlife habitat. But beyond that, companies weren’t paying a lot of attention to what we call social responsibility today. When they did think of social responsibility, it was in the context of crises like the Exxon spill: social responsibility was basically restitution for bad things you had done. If you hadn?t done anything wrong, there was nothing to worry about. That was my mindset, and, as a public affairs officer, it was ICI’s mindset too. And then the Oklahoma City bombing happened. It turns out that certain kinds of fertilizer can be used to make a bomb. The bombers had used an ICI product. The victims’ families sued us. Most of the people in the company didn’t take the lawsuit very seriously. And, to be fair, tragic as that attack was, it was pretty clear that we weren’t responsible. So the attitude was: just let the lawyers handle it. But what I soon realized was that it didn’t matter whether we were legally responsible or not. The courtroom verdict was just one of several verdicts that affected our business. Other verdicts would be rendered by the people of Oklahoma City. By the farmers who used our products but had other choices. By policymakers and shareholders. I felt that if we acted quickly and gave back to this community that had suffered so much, we had an opportunity to blunt a lot of that criticism and even to turn some of it into praise. Nobody listened to me. You can probably guess what happened. We won the lawsuit, but we ended up getting a lot of negative press. Even after some belated outreach to the community, our reputation suffered. We had entered what I consider to be the first chapter in the evolution of corporate social responsibility: a broader definition of accountability. In 1996, I left ICI and went to Kodak where I was put in charge of global public affairs. At the time, we were trying to grow our business around the world especially in developing countries like South Africa, China, and India. In particular, after leaving the South African market to protest apartheid, we were looking to regain ground that we had lost there to Fuji in our absence. At first, we used the exact same playbook we had used before: a strategy of marketing our products to the relatively small and wealthy white minority.? Nobody even thought to assess whether there was a potential market among black consumers. But I suspected there was. I decided to hire a firm that was run by blacks in South Africa who really understood that market. They concluded that while there weren’t many professional African photographers, there was a lot of potential for growth. So we started a program to train people in South Africa so-called street photographers — on how to take better pictures. And of course, once these photographers had the skills, they needed new cameras and accessories. We were there to provide them. And pretty soon, we started beating our competitors. To me, this story illustrates the second chapter in the evolution of CSR. The first was companies realizing that paying attention to their stakeholders wasn’t just about handling crises. The second was realizing that paying attention to stakeholders could actually be a business opportunity. 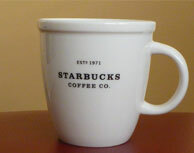 In 2003, I left Kodak and joined Starbucks. Now, Starbucks was a company that was already known for treating one key group of stakeholders their employees very well and there was a lot of support in the company for concepts like sustainability. But the senior management wanted to go further and integrate this sense of responsibility throughout the business strategy, so that CSR was not simply good works and philanthropy, but also good for business in very tangible ways. I thought that there was a real opportunity here to make CSR a part of the core business in a way that was rigorous and comprehensive. One of the first things I noticed when I arrived was that Starbucks was paying a lot of attention to one end of its value chain ? what happened in and around our stores but still had major challenges with the other end of the chain the plantations and small farms where our coffee was grown. In Chiapas, Mexico, for example, environmental groups were attacking the company because the coffee farmers there were cutting down the rainforest to increase their yields. The irony was that even though the farmers were chopping down trees, harming biodiversity, the coffee yields were still low because the farmers were using inefficient methods, which was bad for them and for us. So we teamed up with a non-profit called Conservation International to show coffee farmers techniques to boost yields without chopping down rainforest organic fertilizers, planting in the shade. The results were stunning. Within a year, the number of farmers taking part in the Chiapas project increased by 30 percent. And the price that the farmers got for their coffee increased too, because they could now brand their product as conservation shade grown coffee, which gets a higher price. Some of the farmers doubled their sales, and the average income jumped 40 percent. The environmental groups were happy because the rain forest wasn’t getting cut down any more. The farmers were happy because their yields went up. And we were happy because, for a very small investment, we strengthened our relationships at a crucial link in our supply chain. It was a win all around, and a good example of the third phase in the evolution of CSR, which I believe is going on right now. It’s taking the principles of treating people and the planet well and integrating them across the entire supply chain and into everything you do. That’s what CSR means today. It’s not just responding to a crisis. And it’s way more than installing florescent bulbs in your offices. It’s strengthening your business in a way that works to the benefit of customers, suppliers, employees, investors, neighbors, and the world we share. It means creating so many people who have a stake in your success that your success becomes their success. When that’s your model, success can’t help but be perpetuated. In the future, I believe the only way to sustain a business will be to have a sustainable business. Becoming more sustainable involves continually redesigning the way we live and work to leave the planet in better shape environmentally, socially, financially for future generations. Today my journey has taken me to the world of wine. My wine story began many years ago when, as a young diplomat in Geneva working on social issues at the United Nations, I spent my weekends in Burgundy having my first exposure and education about fine wines. Later as a coffee company executive I honed my palate for tasting the terroir, origins and unique flavors of regional coffees and wines. Combining my commitment to sustainability with my passion and palate for fine wine has set me on an exciting new chapter of my story. My philosophy is a holistic one – to ensure our created environment functions in harmony and healthy balance with our natural landscape. Sustainability in wine can be as simple as making sure the next generation inherits a fertile and sustainable land. It can be as comprehensive as instituting responsible practices from vineyard management to harvesting, winemaking to distribution (including ingredients, packaging and carbon footprint reduction. This is the basis for my push toward ensuring the best standards for measuring and promoting sustainability in wine production. I would dearly love to see others connect more closely with their land — whether tiny plots or larger holdings and with their community’s needs. My blog will share some of the environmental successes I come across in my work and in my travels around the world. And of course the fun part will be the interesting wines I discover and delicious food pairings that I will share and hope you’ll try at your local wine bar, favorite restaurant and at home.